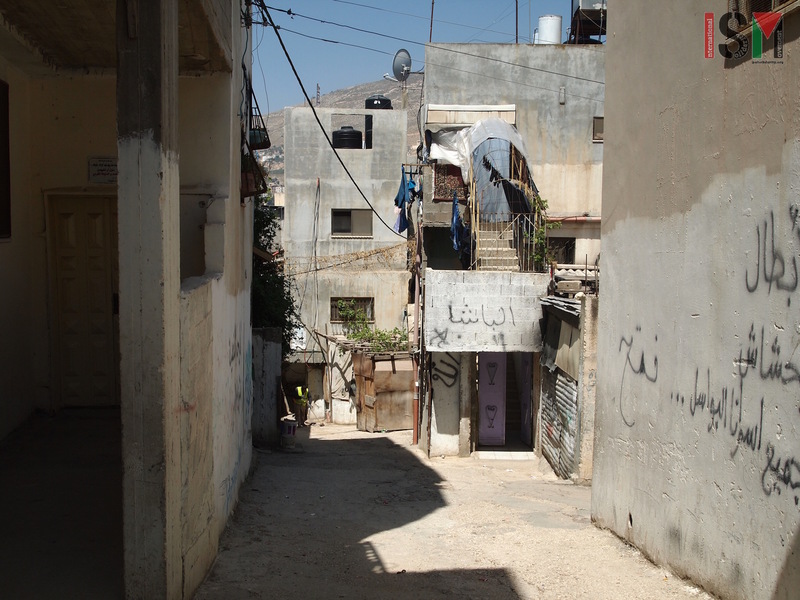 New Askar refugee camp is situated north-east of Nablus in the Askar area. It was created in 1965 to accommodate the increased number of refugees who were living in (old) Askar Camp that was established in 1950 after hundreds of thousands of Palestinians were forced from their homes in the Nakba. This ethnic cleansing of 1948 was part of the creation of Israel. The camp has since grown to a total of 6.000 people living on an area of 0.5 km 2. This high density creates both a claustrophobic and at time a dangerous environment. Located in Area C, under full Israeli control, it does not have the status of a refugee camp. 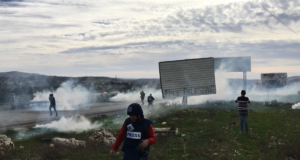 This means that if the occupation was to end and refugees were able to return to their hometowns, those living in New Askar would not be given this right. They cannot take part in the elections of Nablus municipality either. Instead, the camp has its own internal government and elections take place every two years. All political parties, except for Hamas, are represented and currently there are nine elected men and two women. But although the camp has a good level of self-organisation, many problems remain unsolved; one of the main ones being drugs. 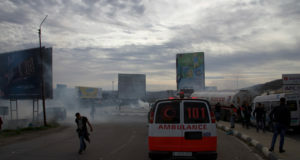 The camp is plagued with drug dealers and as it is located in Area C, there is no presence of Palestinian police. The camp is also open to local settlers, Israeli soldiers and Samaritans to come and buy whatever they want. Another issue is health. Until 2007, there were no public services and even today they are extremely limited. Islamic Relief in the US and the Norwegian government have helped provide for a clinic and a school. However, there is only one doctor for the whole of the camp’s population and there is no help from the Palestinian Authority, their presence is only seen at times of election. 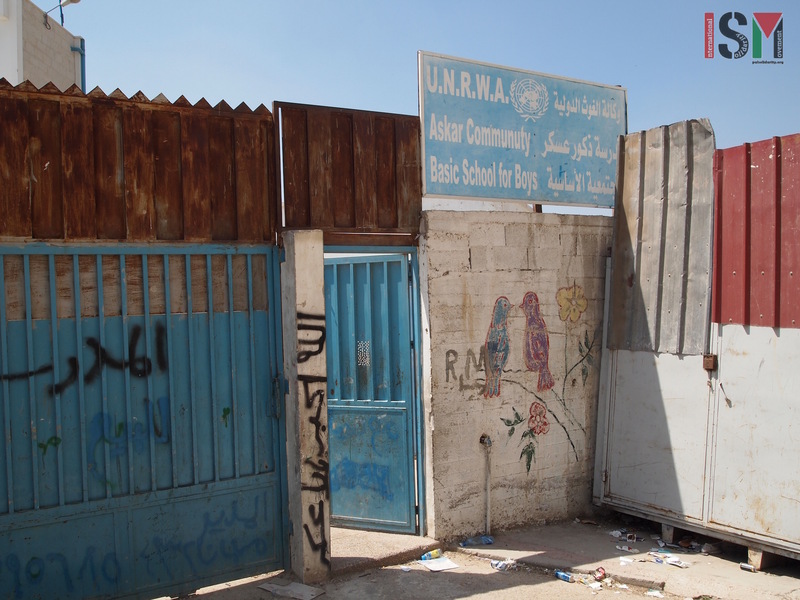 The director of the youth centre, Nasser, explained to us that all children of the camp, (60% of the population), are now able to have primary education on site, whereas they have to travel to Nablus for their secondary education. “We need to build the minds of our children, explain their real history which has been denied them for so long.” And their history has been politically very active, as is the case with most refugee camps. 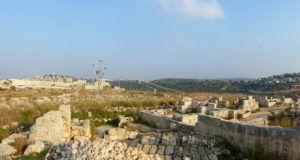 Throughout both the first and second Intifadas, the majority of resistance fighters came from the camps, which endured a particularly significant Israeli military presence. During these times, New Askar withstood high levels of structural loss, 65% of its youth was arrested and at least 200 residents were injured and 30 were killed. Many years later, the living conditions remain challenging and unemployment has reached 70% of the adult population. Living in such an intense area, as much demographically as socially, a community full of gossip and internal problems has developed. Nonetheless, “Here, no one will go to bed without food or sleep on the street. In the end, we will all help each other out”, comments Nasser. He continues by saying that he is in favour of one state. “This land is for all of us. We need to share and we have the right to live here, including the Jews, but not the Israelis”. In the past, Samaritans, Christians, Jews and Muslims lived together side by side. 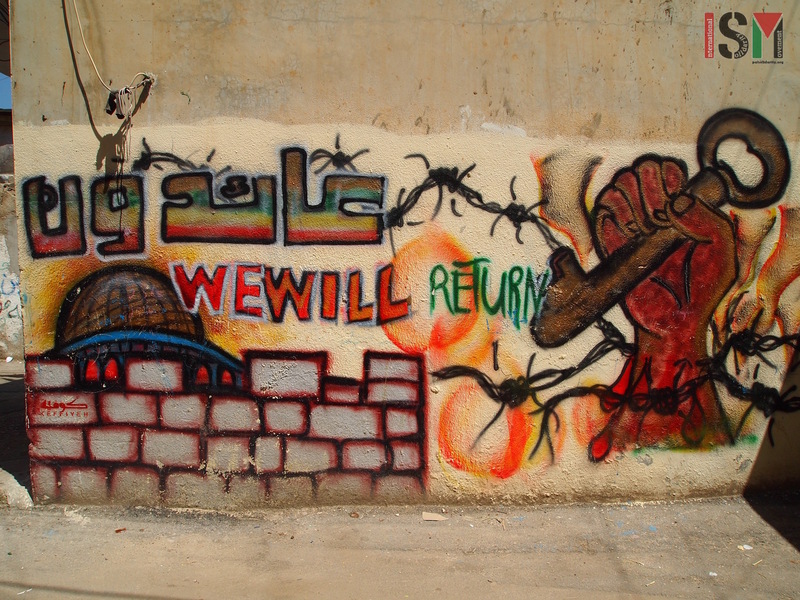 But now, “We have become a small Palestine here. People are refugees from all over 48 [term used to describe what is now called Israel], we are refugees in our own country”.